With a safety helmet and as little as 10 minutes practice on a figure of eight forest track and you're off. 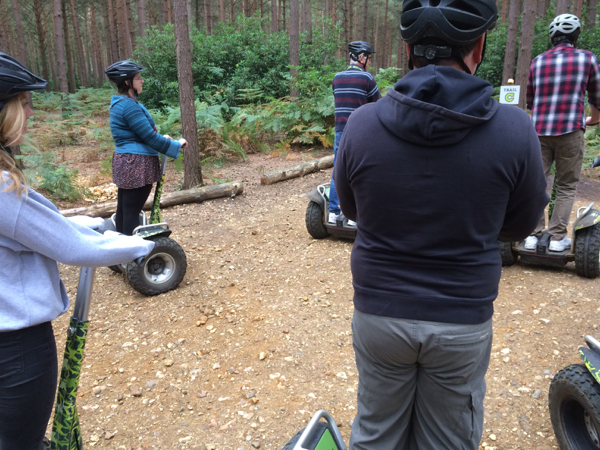 Segway-style through the forest. Up surprising slopes with ease - and down too! Whizzing around on these electronically stabilised machines at GoApe. Lean forward to go forward. Lean backwards to reverse. Swing the tiller to the right and left to steer. Keep smiling and hold on. More fun than an X-Box! Can I have one for Christmas? Happy children - that's what we want. 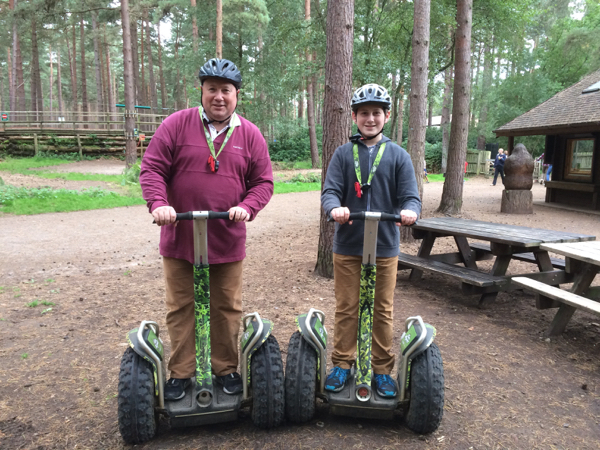 Compared to the GoApe rope course, the Segways were considered equally fun - and novel too. 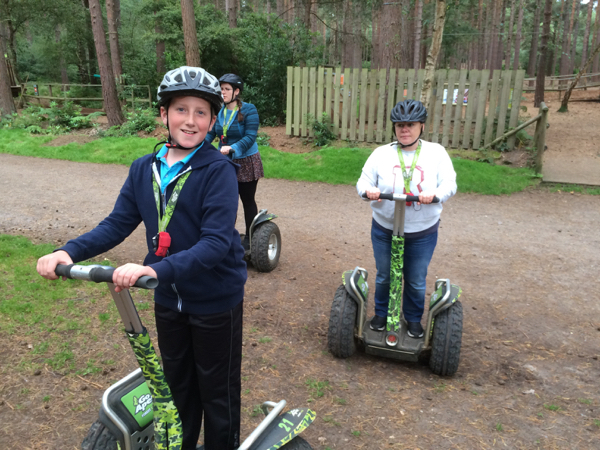 Ideal for those who didn't have the head for heights or fitness needed to enjoy the ropes course, these Segways can be mastered by anyone who has ever ridden a bike. By the end of the hour we wanted them on their fastest setting for a race back to base. And we all wanted to stay on them longer. An hour didn't feel enough!